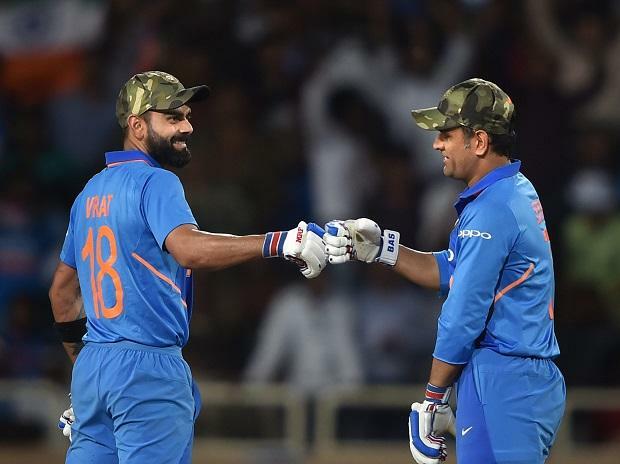 Virat Kohli looked like a 'Man on a Mission' wearing the camouflage army cap for the better part of his 41st ODI hundred but that wasn't enough to prevent India from losing the third One Day International (ODI) against Australia by 32 runs at JSCA International Stadium Complex in Ranchi on Friday. Usman Khawaja's hundred and Aaron Finch's 93 saw Australia put up a more than decent 313 for five and India could manage only 281 in 48.2 overs, that too solely due to Kohli's 123 off 95 balls. 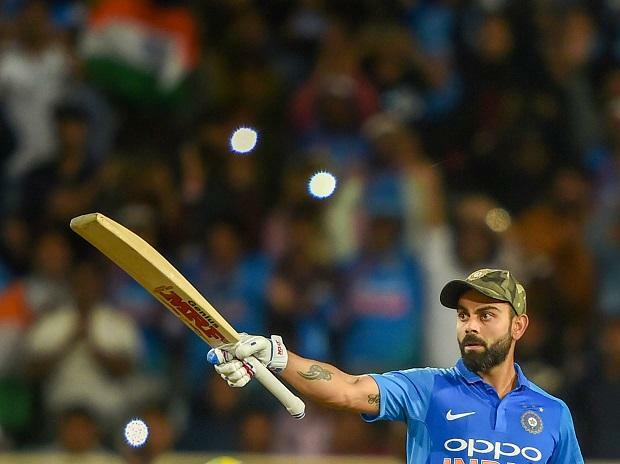 It was yet another superlative effort from the Indian skipper, who lacked adequate support from the other end as Australia kept the five-match series consequential going into the fourth game in Chandigarh on Sunday. Kohli scored his first 50 off 52 balls and the next 50 off just 33 balls which was sheer class as always. The acceleration was so sudden that it even took the Australian attack by surprise. The skipper launched a brutal assault on the Australian bowlers. From gorgeous looking cover drives to delectable on-drives and those deft touches everything was present in a bouquet. The true nature of the pitch helped him hit through the line as he smashed 16 fours and a six. However Adam Zampa (3/70), by far the most impactful Aussie bowler, yorked the Indian skipper after having accounted for former skipper Mahendra Singh Dhoni (26). He did get hit but he would any day take wickets of Kohli, Dhoni and Kedar Jadhav (26) in return. 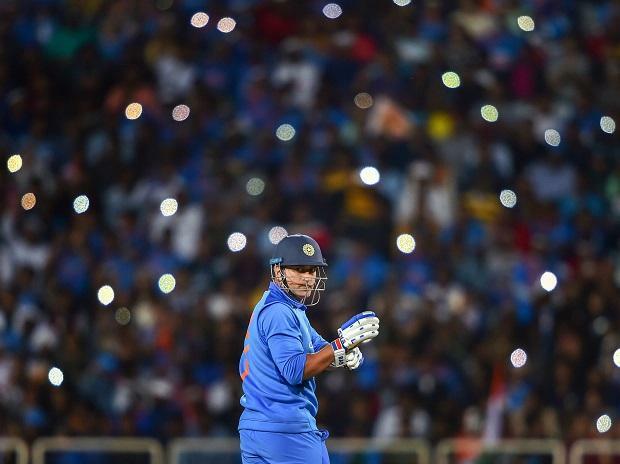 Kohli had three significant partnerships -- 59 with Dhoni for the fourth wicket, 88 with Jadhav for the fifth wicket and 45 with Vijay Shankar for the sixth -- but none good enough to take India across the line. Shikhar Dhawan (1), Rohit Sharma (14) and Ambati Rayudu (2) were dismissed cheaply as India was left tottering at 27 for three and it was always a difficult task from there on. Dhawan's slash was grabbed by Glenn Maxwell at point while Cummins angled one to trap Rohit Sharma plumb in-front. Rayudu, not the most reliable player against quality fast bowlers, was beaten for pace by Cummins, who pegged his off-stump back. After winning the toss, Indian pacers covered up commendably for a rare off-day endured by the spinners as visitors were restricted to 313 for five despite a 193-run opening stand between skipper Finch and Khawaja. Khawaja (104, 113 balls) scored his maiden ODI ton while Finch (93, 99 balls) chose this particular match to get back to form. Maxwell (47 off 31 balls) also contributed with lusty blows. The Indian spinners -- Ravindra Jadeja (0/64 in 10 overs) and Kedar Jadhav (0/32 in 2 overs) -- were carted all around the park. Kuldeep Yadav (3/64 in 10 overs), however, redeemed himself at the back-end of the innings. The trio gave away 160 runs in 22 overs and it was left to Jasprit Bumrah (0/53) and Mohammed Shami (1/52 in 10 overs) to maintain the discipline during the final overs as the total could have gone close to the 350-run mark. 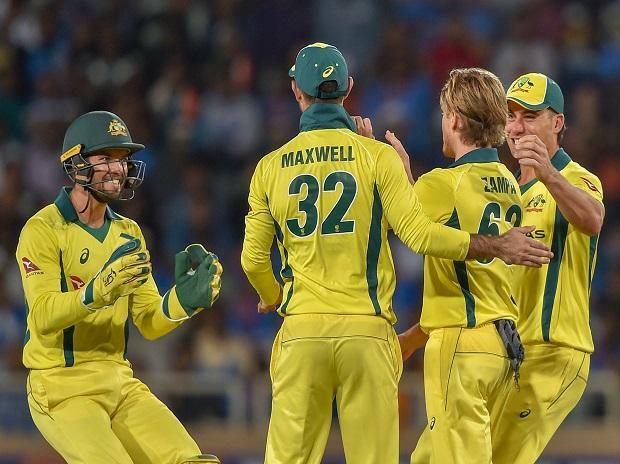 In the final 10 overs, Australia could score only 69 runs, despite being 244 for two after 40 overs, courtesy Bumrah and Shami who bowled 64 dot balls between them. The fielding on the day was also way below par as Dhawan, at square leg, dropped Khawaja, who tried a reverse sweep, while batting on 17 off Jadeja's bowling. Kohli, Kedar and Bumrah were all guilty of slip-ups on the field which also released the pressure on the visitors. With the pitch on offer being the best in three games, the Australian openers showed positive intent from the start. Shami's freak on-field injury also played its part as he had to leave the field temporarily after bowling the first three overs. The momentum shifted from there on as both Finch and Khawaja played the spin troika brilliantly.Both Finch and Khawaja and later Maxwell used big front-foot strides to counter the spinners. Whenever Kedar tossed it up, Finch cleared his front leg and fetched it from outside the off-stump, swatting him over deep mid-wicket. If he bowled with a side-arm lower trajectory, Finch would rock back and play him square off the wicket. In case of Jadeja, the inside-out shot and the cut was used liberally by Khawaja and Maxwell. For Kuldeep, the Australians decided to plonk their front-foot, negate the spin and hit him through the line for sixes.